These are gorgeous! They’re designed by artist Megan Lara. I love the details in these; look closely at the circle designs at the little icons! 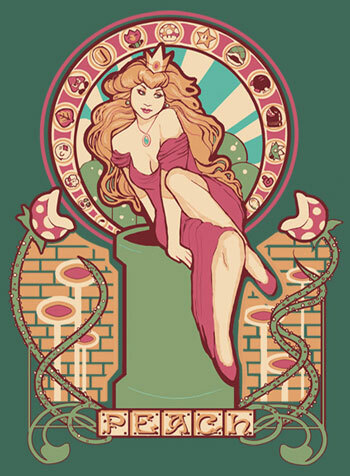 I could easily see myself in these tees (well, the Zelda and the Samus one, the Peach pose is a bit too much for a tee for me, still a cool design though). 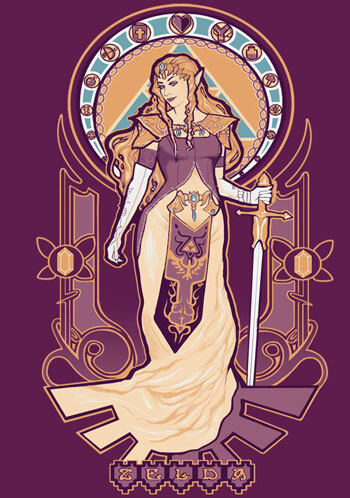 All the tees are available on Level Up Studios as pre-orders (Zelda, Peach, Samus); they’ll be shipped on the 23rd of February. They’re $18 for Mens size and $19 for Ladies size. I’m really tempted to get myself a Zelda one. 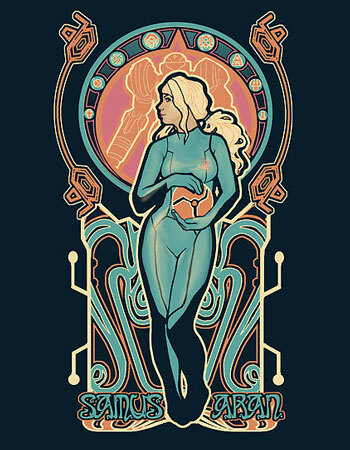 Check out Megan Lara’s site for more designs.